Sitemaps and Seo - First in Google? - Marketing: Tomato ketchup - do you know what brand to buy? 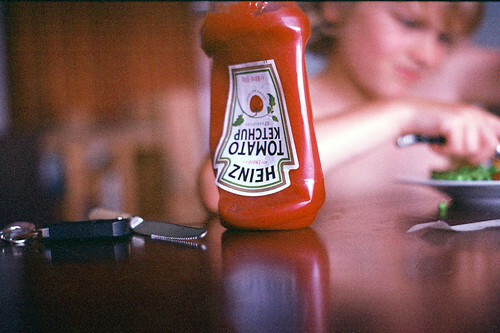 Tomato ketchup - do you know what brand to buy? What are brand names and what do they mean? Are you a Brand? Do you simply sell a product, or can your clients relate to your product and product philosophy? A brand relies on continuity, clients need to have confidence in you and like to know that your company has a passion or belief - above all they need to know you are not simply in the game to make a quick profit and then disappear. Building a brand loyalty is paramount to continuing success. Your brand needs consistency across the board - customer support, email marketing, your company website - consumers expect service - from all your staff, from the tea boy to the CEO (you might be all of them) it is important everybody lives the brand. There is no point in delivering the same product as the competition unless you come up with a strategy that makes you the brand leader. Don't convince yourself that a catchy gimmick is going to be strong enough to get you to the top, the whole thing depends on building a culture around you, your product, your service and the dream - people have to believe in you.